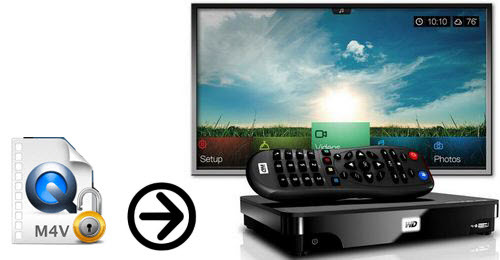 How to Stream iTunes M4V video to WD TV Live Plus for enjoying? If you are also one of people who only purchase M4V video contents from iTunes store but don’t have an Apple TV connected to your big screen HD TV, this article may be helpful for you to get a satisfying solution to play iTunes M4V video on HD TV. And if you have a WD TV Live Plus or other HD media players, it will be better since you can stream the iTunes M4V video to WD TV Live Plus for playing with the DLNA situation. As we all know that the movies, TV shows and music videos that sold on iTunes store have DRM protections and you are not able to directly copy or play them on other devices except the Apple devices like iPad, iPhone, iPod and Apple TV. So, if you need to stream iTunes M4V video to WD TV Live Plus for playing back, a useful DRM removal tool is necessary. Here we recommend you NoteBurner M4V Converter Plus (For Mac & For Windows) which acts as the best DRM removal tool and iTunes M4V video converter. Step 1. Load M4V resources. 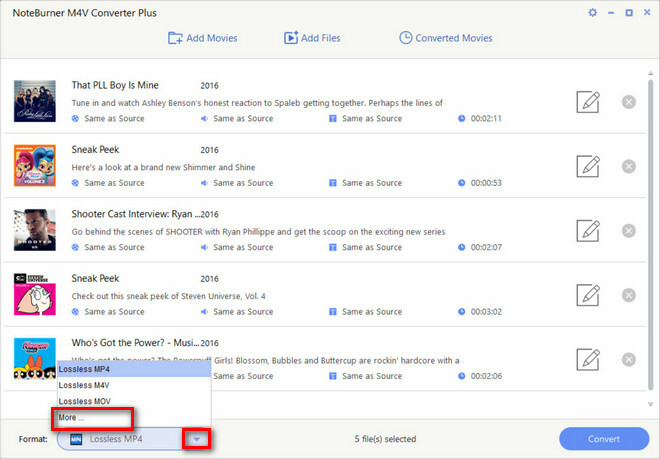 Launch the top iTunes M4V to WD TV converter on your computer; Click the add button and then choose the M4V resource from iTunes library. Step 2. Set output profile. To convert iTunes M4V for WD TV Live Plus playing, you need choose a suitable format for output since M4V is not supported by HD media players. According to the instructions of WD TV Live Plus, the MP4 and AVI format are the most compatible video formats for playing on it. So, just click the profile setting menu and choose “same as source video (*.mp4)” or other formats you like. Step 3. Choose advanced settings. If you choose Customized MP4 movie (*.mp4) as output format, you need change the settings for playing with best quality on WD TV Live Plus. You can set the video size to 1920*1080 to keep the full HD definition of the movie, and you can also set the bitrate from 2000k to 4000k to get a high video quality. Step 4. Begin the DRM M4V to WD TV conversion. 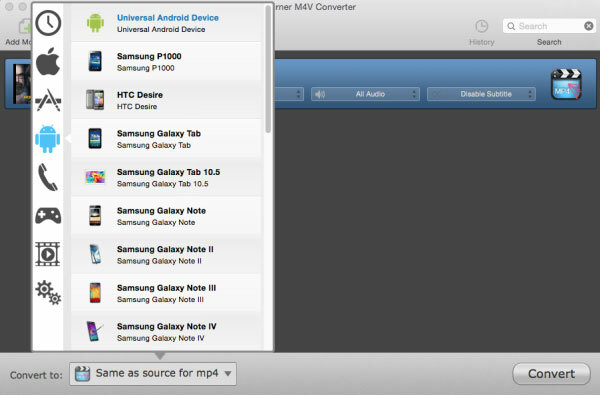 Just click the convert button and then NoteBurner iTunes M4V to WD TV converter will immediately start the conversion from DRM M4V to WD TV MP4 videos. What’s next? Freely play the converted videos on HD TV.